ALL PSA 8'S!!! 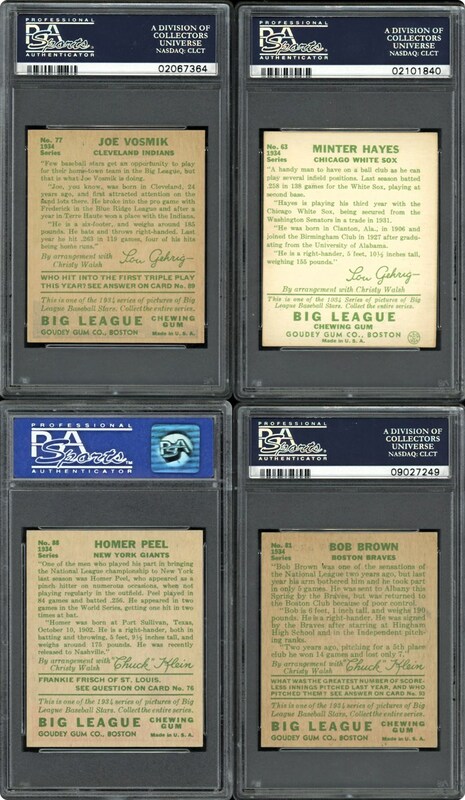 This group of 4 different 1934 Goudeys are all PSA 8's as follows: #63 Hayes, #77 Vosmik, #81 Brown & #88 Peel. 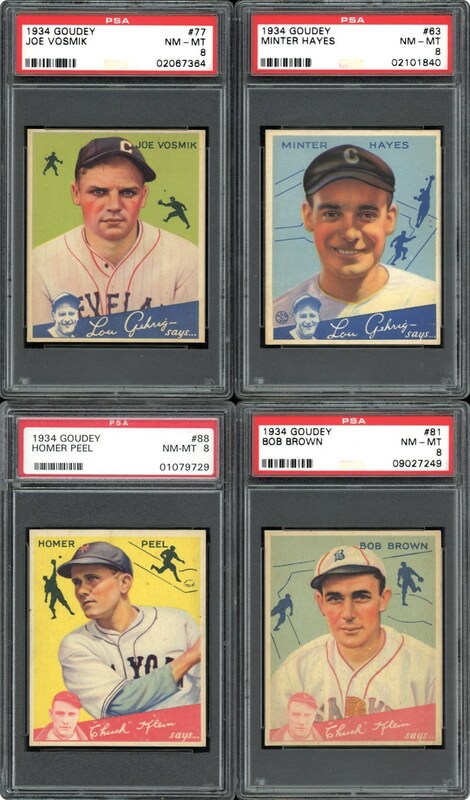 Nice additions to any high end 1934 Goudey Set Builder. SMR value of over $1,600.